Google VR Archives - Somatone Interactive, Inc. 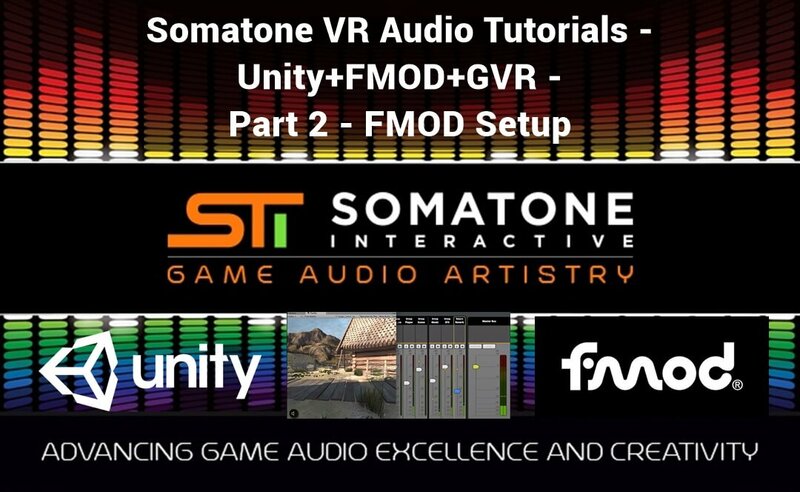 This video covers the set up of the FMOD project with the GVR plugins for spatialized audio. 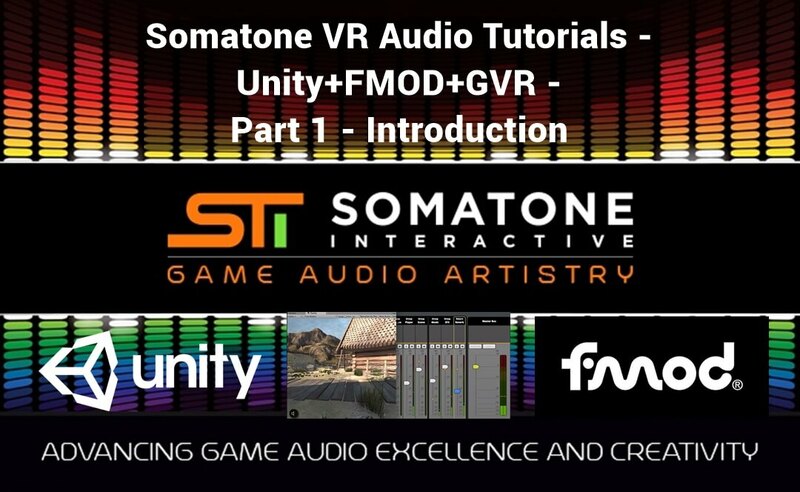 It covers setting up the FMOD master bus to route all spatialized audio through the GVR source, adding an ambisonic soundfield event as well as point sources for the ambience, and setting up a gunshot event with a new FMOD 1.10 feature called smart presets. In the following videos, we will be integrating this FMOD project with the Viking Village in Unity and modifying it for VR. Note that GVR has been rebranded by Google as Resonance Audio. In a new project the first thing we need to do is go to the mixing desk (ctrl+2 on Windows Cmd+2 on Mac) and click on the master bus and then before the fader, click on the plus button and go to Add Effect -> Plugin-effects -> Google -> GVR Listener this will allow us to hear what is happening to the audio that is routed through the GVR plugins we will add on our events. 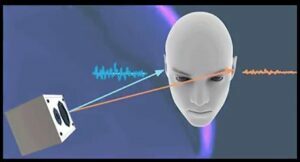 We also want to set to master output to stereo, because VR audio is built to sound best in headphones. The first event we are going to make is an ambisonic soundfield event for our backdrop ambience. In a new event, add the soundfield file to the timeline – it needs to be a first-order ambisonic file. On the master go to Add Effect -> Plugin-effects -> Google -> GVR Soundfield. This plugin converts the ambisonic soundfield into stereo and re-reroutes the audio to the GVR listener. In the water event, add the tracks and then turn up the spread on the GVR source – this changes the audio to make it seem less like a point source and more spread out over an area. The GVR Source also has the ability to occlude the sound by turning up the occlusion knob. multi-event. Set the GVR distance falloff to a small number and around 100. Same process for the crane, frogs and bird. Next we are going to create our gunshot event. Add a GVR Source to the event, adjust the falloff curve and directivity pattern. Along with our gunshot we are going to add a sound when the bullet hits. Import all of the hit sounds into a different event for each material. Add the GVR source plugin to each hit event, but this time I’m going to disable the distance attenuation. I do have to set the min and max distance even though I am not using the falloff curve in GVR. 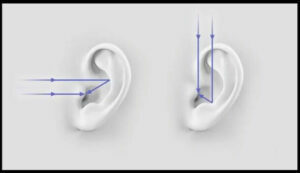 We are going to create a custom falloff curve using the built in distance parameter as well as an effect. On the track add a gain effect. This will be our custom falloff curve. In your event add a parameter -> new parameter at the bottom, this is a new browser that has all of the parameters you have made so far. Set the min and max to 0 and 100 respectively. After the gain curve is set how you want it right click and select convert to preset and then add the preset to the other gun events. In this video we covered ambisonic events, the GVR plugins: sound field, source, and listener as well as a new feature to 1.10, presets. In the next video I’ll show you how to link this all up in Unity.